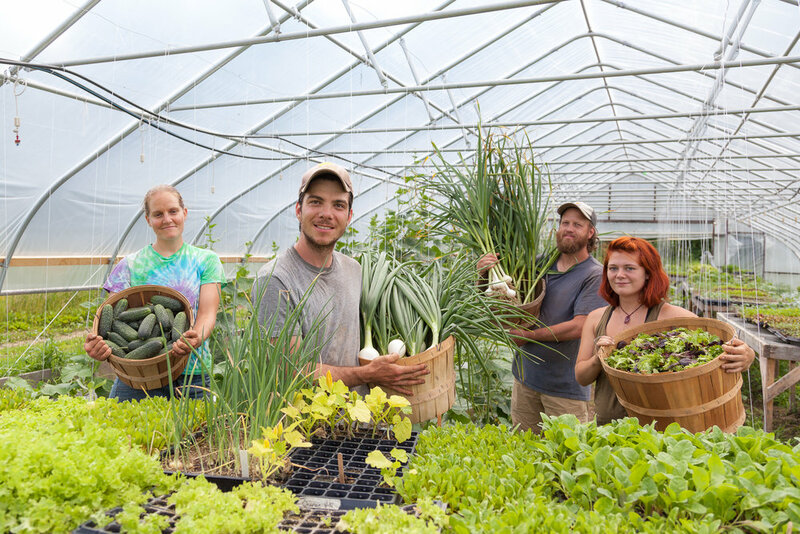 Farmer John’s Plot was founded in the summer of 2010 as a project to bolster the local food movement in the greater Monadnock region of South Western New Hampshire. We are a nonprofit working farm located in Dublin, New Hampshire, that strives to bring nutrient dense produce, grown in the community to the community. We sell our produce through our farm stand, CSA , local grocers and schools. Volunteers, internship participants, our staff, and contributions from the community make this all possible. We pride ourselves in growing the highest quality produce. Unlike large organic agriculture we don’t replace chemical pesticides and soluble fertilizers with organic ones, but instead work towards long term soil health. We build soil through compost, cover cropping, rotations and companion planting.Our healthy soil grows healthy plants which in turn make healthier people. We don’t use palliatives like other organic or conventional growers that mask unhealthy soil and plants. Real, nutrient dense plants are our goal. We are interested in working with you! Contact us for volunteer and internship opportunities. Bring your school or camp to the farm for a hands on learning experience!